Earn $33.99 in Rewards credit (3399 points) What's This? 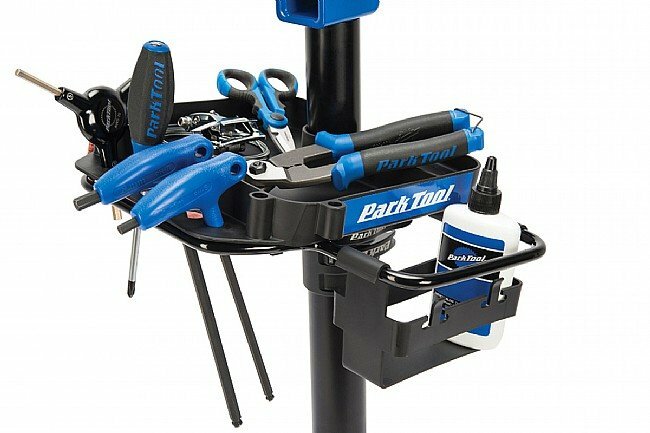 Park Tool's PRS-22.2 Team Issue Repair Stand firmly holds any bike without clamping the frame or seat post by supporting the bottom bracket then locking either the front or rear dropouts. 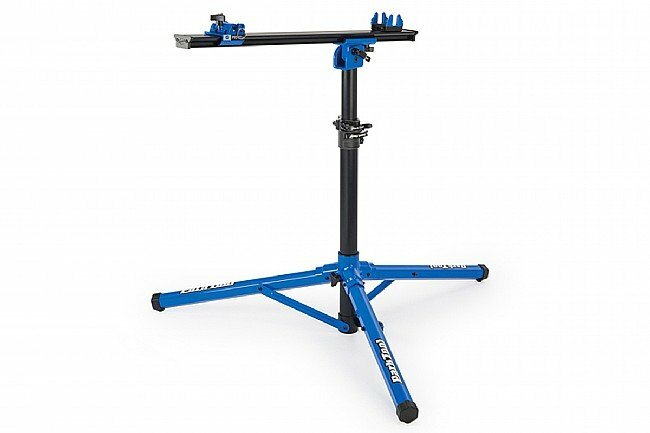 It works with any style axle system, including quick release and all sizes of thru-axles without cumbersome adaptors. 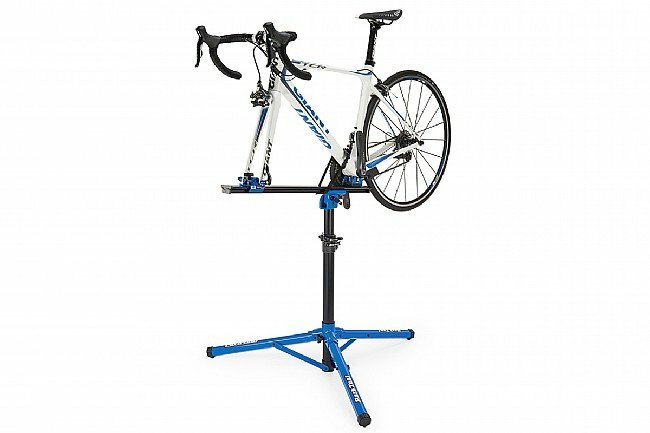 The solid tripod base folds compactly for storage or transport, making it an ideal option for cleaning or repair on-the-go and at home. Constructed of lightweight anodized 6063 T6 aluminum and durable composites. Adjustable BB height of 30" to 45". Supports a wide variety of BB shells. Smooth, solid 360-degree horizontal rotation system. Fore and aft adjustable main beam fore. Adjustable collar interfaces with optional accessories (sold separately) 106 Work Tray and PTH-1 Paper Towel Holder. 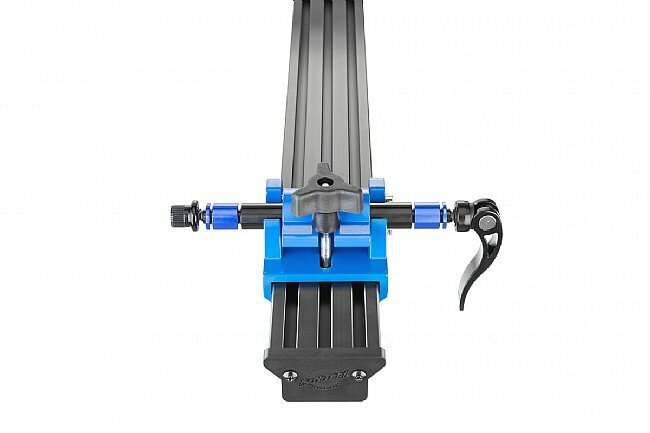 Please note: The maximum weight holding capacity of the PRS-22.2 is 60 lbs, assuming the weight is centered over the legs.